Authors: Sorokina N.D., Pertsov S.S., Selitsky G.V. Transcranial magnetic stimulation (TMS) is one of the nonpharmacological methods to affect the central nervous system. This approach allows a noninvasive stimulation of the cerebral cortex. The method is based on the ability of magnetic fields to penetrate the bone and muscle structures. The induced magnetic field depolarizes the neuronal membrane, and the generated action potential propagates through the conducting pathways. In the review, the biophysical effects of TMS, as well as its neural, immune, mediator and macro effects are analyzed. The main contraindications to TMS and its side effects are considered. Nonpharmacological treatment of tension headache (TH) and migraine is a promising direction, since the incidence of these types of primary headaches reaches 40-65 and 11-22%, respectively. In the article the current state of study of various modes and durations of TMS procedure, and the site of exposure in TH and migraine are considered. In recent years there is noted an increase in the number of evidence-based randomized, placebo-controlled studies on the effectiveness of TMS in migraine therapy. Much attention is given to evaluation of the effect of TMS in migraine. There is much evidence of the positive effect of this procedure. However, the amount of examined volunteers does not provide the highest level of evidence. Experiments on animals and use of functional neurovisualization techniques contribute to understanding of the mechanisms of TMS effect. Active participation of physiologists, neurophysiologists and biophysicists in these research works will permit evaluation of the effectiveness of TMS in nonpharmacological treatment of patients with pain syndrome. This approach will improve the working capacity and quality of life in TH and migraine. transcranial magnetic stimulation, tension headache, migraine, neurobiological mechanisms, de-pression, intensity and incidence of pain syndrome. Despite a wide choice of pharmaceutical substances used in treatment for primary headaches, tension headaches (TH) and migraine, development of new drug-free therapeutic means remains an important task. One of such means is a transcranial magnetic stimulation (TMS) – a method that permits non-invasive stimulation of the cortex. TMS was first proposed by А.Т. Barker (1985) and nowadays is widely used worldwide . TMS is based on Michael Faraday’s concept of electromagnetic induction. In 1896 Jacques-Arsene d’Arsonval for the first time applied magnetic field to humans and induced phosphenes – visual sensations occurring in an individual without action of light on the eyes. At present, the threshold of phosphene is not only being studied as a reaction to TMS, but is considered one of criteria for differential diagnosis of migraine with aura . Characteristics of electromagnetic field for TMS depends on the form, size and design of electromagnetic coil and on its orientation in relation to the head of a patient and on parameters of stimulation . In magnetic stimulation different coils are used. They differ in external and internal diameter, number of turns, induction of magnetic and electric fields. Small-diameter coils create high induction of magnetic field near the surface of skin which permits its effective use for stimulation of superficial nerves. Large-diameter coils are used for effective stimulation of deep structures of the brain. Local stimulation is possible with use of double coins . TMS is used for electrical stimulation of peripheral nerves. Here, of importance is the ability of magnetic fields to penetrate superficial anatomical structures and activate tissues covered with skin, muscles and bony structures. Induced magnetic field depolarizes the membrane of neuron, and the initiated action potential propagates through the conducting pathways. TMS of the brain and peripheral nerves permits to trace the state of the motor areas in the cortex and provides a quantitative estimation of the extent of involvement of corticospinal motor pathways in hospital conditions. Disorders in the processes of conduction of excitation through the central structures of the spinal cord and the brain are seen in different forms of pathology. Besides, TMS permits evaluation of the cortical reactions after conduction through a motor pathway [5,6]. An opposite task is realized by method of navigation TMS of the brain (nTMS) NBS eXimia Nexstim based on stimulation of the neurons of the brain by the alternating magnetic field with record of responses to stimulation using electromyography. With precise direction of a stimulus to a certain area of the cortex and repeated stimulation it is possible to obtain somatotopic mapping of the areas responsible for motor activity. Figure-eight coil is used for local stimulation (with the accuracy up to 0.5 cm) of the brain structures close to the scalp, such as cerebral cortex and cerebellum. A magnetic coil is positioned tangentially to the scalp; this provides maximal stimulation of nervous structures in the areas oriented parallel to the central segments of the coil. For magnetic stimulation of larger areas round coils are used; use of special H-coils permits stimulation of deep structures of the brain (hippocampus, subcortical structures, brainstem) [4,6]. TMS may be performed by single and paired stimuli, as well as by trains of impulses (repeated, or rhythmic TMS – rTMS). Single stimuli are used for mapping motor zones of the cortex and for measurement of the time of central conduction of motor response, and paired stimuli are used in studying functional relationships in the cortical areas. TMS by trains of impulses is widely used for therapeutic purposes; besides, application of regularly repeated single impulses is used (the so called standard, or «conventional» TMS), or pattern TMS – pTMS . Patterns of TMS are short series of high-frequency impulses separated by pauses. For example, «theta-volleys» are applications of short volleys of impulses (50 Hz) repeated at the frequency of theta range (5 Hz) in continuous or intermittent mode. Recently there have been formulated new rules of use of TMS that suggest stimulation of the same area of the brain with impulses of different frequency and use of bilateral procedures. Safe parameters of stimulation are described in detail in special manuals . Biophysical effects of TMS include primary physical processes of interaction of magnetic field with particles of matter, electrons, atoms, molecules. Charged particles of living matter, ions and molecules that participate in biophysical and biochemical processes, are probable transmitters of signals of magnetic field to the next biochemical level. Biophysical mechanism of regulation of the functional activity of proteins is realized with participation of ions and transmitter molecules which leads to shifts in metabolic processes and to magnetic effects in molecules and neurons. Molecular mechanisms are mediated by alteration of spin in elementary reactions of radicals, ions and triplet molecules. They may manifest themselves in the processes of transmission of electrons through chains of cytochromes and in coupled with them redox, phosphorylation and enzymatic reactions, and in alterations of expressions of genes [10,11]. Effects of TMS on neurons are studied with the help of TMS – electroencephalography (EEG). It was shown that excitation spreads through «hubs» of neurons where the density of connections is higher than in the surrounding nerve tissue . Action potential initiated in the nerve cell by TMS impulse, propagates along the axon and activates numerous surrounding neurons of different modalities across synapses . With use of rhythmic stimulation (rTMS) a series of impulses is generated at 1 to 100 Hz frequency in two basic modes: low-frequency mode (less than 1 Hz) and high-frequency mode (more than 5 Hz). Low-frequency rTMS reduces excitability of neurons with the result of inhibitory after-effect. Conversely, high-frequency stimulation increases excitability of nerve cells and produces stimulating effect. Thus, TMS induces short-term excitatory and inhibitory effects in the brain. It is important that TMS may induce both mentioned effects depending on its intensity and duration. rTMS with ≥ 5 Hz frequency causes primarily excitatory effect and that with 0.2-1 Hz frequency – inhibitory effect . However, it is not always so since the character of neurophysiological shifts is largely determined by the mode of stimulation. There are also used «pattern» modes of stimulation (intermittent or prolonged stimulation with theta-volleys), when stimuli are applied in the form of specific clusters. For example, stimulation in the intermittent theta-mode (2 sec of stimulation and 10 sec pause) leads to increase in the excitability, while continuous stimulation (40 sec) in the same mode leads to reduction in excitability. Duration of the aftereffect of rTMS is proportional to the stimulation time, the number of impulses and repetition of sessions . Effect of TMS at the cell level can be explained by depolarization of the membrane of cortical neurons under influence of induction electric field, by initiation of trans-membrane ionic current and by generation of action potential with subsequent synaptic transmission of excitation to the neuronal networks that are functionally or anatomically associated with the stimulated area. Thus, stimulation of the frontal lobe at 20 Hz frequency led to a significant increase in the level of dopamine in subcortical structures . Stimulation of the left dorsolateral prefrontal gyrus (20 Hz, 20 min a day) changed the level of glutamate in the cortex not only on the side of action, but on the opposite side too . One of mechanisms of action of TMS is increase in the concentration of thyrotropic hormone (TTH) found in observations of patients and of healthy people. At the same time, sub threshold stimulation led to tran-sient reduction in TTH and cortisol in the blood plasma of volunteers which is an indirect evidence of a relaxing effect of sub threshold TMS in healthy individuals . TMS is suggested to produce a modulating effect on regulation of functions of the autonomic nervous system, on reactivity of cerebral vessels, on activity of the immune system . Besides influencing electrophysiological parameters of neurons, TMS also facilitates sprouting and neurogenesis . Alongside with this, TMS causes inhibition in nociceptive trigeminothalamic neurons . Selection of individuals for participation in TMS requires use of a special questionnaire that includes 15 questions and allows screening . Contraindications to this procedure include, in particular, existence of metal objects in the vicinity of a magnetic coil (hearing implants, pumps, implanted electrodes), existence of epilepsy in history (except for the case of special treatment for epilepsy with TMS), vascular, traumatic or infectious damages to the brain. In case of presence of an implant in a patient it is obligatorily required to determine a possible degree of heating or magnetization for each specific protocol of stimulation and for the type of used coil . The most common side effects of TMS are moderate local pain or discomfort in the region of exposure (up to 40%) and headaches (up to 30%), which is associated with stimulation of branches of the trigeminal nerve and muscle spasms. Painful sensations during rTMS are similar to those occurring in repetitive stimulation of peripheral muscles of the face or scalp that causes pain in some individuals due to tension of muscles. Besides, magnetic stimulation produces high frequency noise that may cause short-term alteration of the threshold of auditory perception. This may be avoided if tested individuals and experimenters use plugs for ears . In literature some cases are reported of epileptic seizures after exposure to TMS: in depression with intake of antidepressants, in tinnitus. Risk of their development is low, only 1.4% even in patients with epilepsy . For early detection of enhanced excitability of the cortex and of risk for development of epileptic seizures monitoring by electromyogram can be used. Signs of enhanced excitability of the cortex include: 1) appearance of induced motor response from the wrist muscle in sub threshold stimulation of M1 or stimulation of non-motor zones of cortex: 2) appearance of evoked motor response from proximal muscles of arm in supra- threshold stimulation of M1. Epileptiform activity may be possibly detected by EEG monitoring. Before recommendations concerning safety of TMS have been published (1998), epileptic seizures mainly occurred in use of aggressive protocols of high-frequency rTMS with exceedance of values of intensity and duration of session recommended nowadays . To avoid such complications it is required to thoroughly select the candidates, take into account contraindications and observe instructions on use of TMS in recommended doses and modes. A medical effect of electric discharges of shock fish was known as early as in ancient Rome and Greece. This method was regularly used by Tiberius to eliminate migraine attacks . Until recently some domestic authors  believed that rTMS had not found a wide application in treatment for migraine and had a low degree of evidence. However, in 2017 the results of evidence-based double-blind, randomized and placebo-controlled study of effectiveness of rTMS in treatment for migraine were published . That study was conducted on 100 patients who received 3 sessions of rTMS at frequency 10 Hz and intensity of 70% of motor threshold of rest on the primary representation of the left motor zone on the hand. In contrast to placebo, a group with active stimulation showed reduction in the frequency, intensity of pain and in the degree of disability. Improvement of clinical symptoms was attributed to increase in the level of β-endorphin in blood plasma. In the comparative analysis of effectiveness of low-frequency rTMS with exposure in the area of vertex with use of round coil, non-effectiveness of the given protocol was shown in treatment for migraine . In the work of R.B. Lipton, et al. (2010) high effectiveness of single-stimulus TMS of the occipital lobes was shown for elimination of migraine attack that started with visual aura . On the basis of the results of this and many similar studies a portable device was developed and approved by FDA (Food and Drug Administration of the USA) for clinical use in 2013. This device under the name Spring TMS is also available in Great Britain for independent use by patients for elimination of symptoms of migraine that starts with visual aura. Effectiveness of a similar device was also shown in studies of A.C. Almaraz, et al. . A TMS device generates short magnetic impulses (several ms, 0.9 T) applied on the occipital lobes, with 30 sec duration of the procedure. The method permits to eliminate a migraine attack and may be used for prophylaxis of migraine. Therapeutic effect is associated with block of propagating cortical depression. 39.0% of patients showed a positive dynamics of reduction of pain within 2 hours from the onset of migraine attack. A similar effect was noticed only in 16.0% of members of the control group. After 1 day of application of TMS device, in 35.0% of patients pain did not resume (in comparison with 9.0% of patients of the control group). The effects of use of a portable TMS device were studied in many works. Exposure to single TMS impulses (sTMS) are used in treatment for migraine with visual aura. For example, the work of R. Bhola, et al. presents the results of observation of 425 patients having migraine with and without aura. Clinical study of patients with acute pain attacks was conducted within 3 months followed by questioning on the phone (in 6 and 12 weeks). In 62.0% of examined individuals there were no migraine attacks within 3 months after TMS, and symptoms of photophobia, phonophobia and nausea reduced. Other patients revealed reduction in occurrence of headache: of episodic migraine from 12 to 9, of chronic migraine – from 24 to 16. On the basis of the obtained data the authors came to conclusion that sTMS is an effective means of treatment both for chronic and episodic migraine, with and without aura . A study of an analogous portable device for independent use by migraine patients with aura showed that the effect of application of TMS on the visual zones of cortex in pulsed mode with 30 s interval within 1 hour after appearance of symptoms, lasts from 24 to 48 hours . G. Naeije, et al. recently published results of clinical examination with participation of 313 patients with migraine  that showed effectiveness of application of TMS with single stimulation mode in treatment for episodic migraine with visual aura after the first attack, but not for cases of chronic migraine. Besides, TMS of the visual zone of cortex appeared promising in differential diagnosis of transient ischemic attacks of vascular genesis and migrainous aura without headache . In discussion of mechanisms of action of TMS, J. Kalita, et al. state that application of high-frequency rTMS (10 Hz, 600 repetitions per 412.4 sec) on the left frontal area of patients with migraine results in sensitization and reduction in habituation of cortical neurons reaction. Thus, this mode of rTMS improves habituation of parameters of evoked somatosensory potentials, that is associated with alteration in relationships between activities of synchronizing systems of the brain and contributes to the reduction of pain syndrome. Experimental study on animals also demonstrated high effectiveness of TMS with the mode of single stimuli in treatment for migraine . Migraine being a propagating depolarization wave, was modeled on rats and cats. The most sensitive brain structure in migraine was found to be thalamic neurons, and antinociceptive effect of this action was mediated by opioidergic mechanism. TMS of deep action (dTMS) can be an alternative method of treatment for migraine . There have been described the results of therapy that included 3 sessions of rTMS (10 Hz, 600 imp/min, 10 exposures) within 3 days. dTMS was applied on the dorsolateral frontal lobes bilaterally with additional action on the left frontal area (12 sessions, more than 1 month). On completion of the research patients showed reduction in the intensity and occurrence of migraine attacks, reduction in intake of analgesics, positive dynamics of symptoms of comorbid depressive condition. The work of U.K. Misra, et al. presents the results of study conducted on patients with migraine who had more than 7 attacks per month and were refractory to 2 medical drugs. Three sessions of rTMS (10 Hz, 600 imp./min, 10 exposures) on the left frontal area were conducted within 3 days. In 98% of patients the number of attacks reduced more than 50% immediately after rTMS; the effect persisted for 1 week. In 80.4% of patients the number of attacks remained at this level after 4 weeks. No side effects were revealed. Therapeutic method with use of rTMS (10 Hz) was equally effective in patients with chronic TH and migraine . A positive dynamics of symptoms after this influence was manifested, in particular, by reduction in frequency and severity of pain, reduction in cases of loss of working capacity, by transition of a chronic headache to episodic one. It should be noted that the mentioned effects were seen within several months after 1 or 3 sessions of rTMS. A.A. Beljaev, et al. (2015) published the results of a clinical study of patients with migraine, who received treatment with high-frequency stimulation of the motor and visual cortex . The exposure (5 Hz, 90% of the induced motor response) was used every day within 10 days. On completion of the treatment course patients showed reduction in the occurrence of migraine attacks (by 31.8%), reduction in the severity of depressive manifestations (by 31.7%), improvement of everyday activity (by 23.7%), reduction in the intensity of headaches (by 6.9%). In a recently published review of F. Puledda, et al. (2016) the data are summarized that illustrate the character of TMS influence in migraine . It was shown that this influence produces an inhibitory effect on the cortical wave of propagating depression which correlates with migrainous aura. One more therapeutic method for use in patients with migraine is electrical stimulation of the n. vagus. However, effectiveness of this procedure is much lower in comparison with TMS. For example, after 2 sessions of stimulation of the right cervical branch of n. vagus (2 sessions of 90 sec with 15-min interval) the attack was completely eliminated only in 22% of patients . A positive effect of this action is realized through increase in the activity of local and regional neurotransmitter systems (serotoninergic, GABA-ergic, noradrenergic). Today high effectiveness of TMS in patients with depression is considered to be proven. Migraine and depression are comorbid disorders. Besides, depression pays an etiological role in tension headaches. Antidepressants are drugs of choice in treatment for these primary headaches. A necessity for non-drug treatment arises in case of resistance to antidepressants or in development of side effects. Along with other no medicinal methods it is possible or even necessary to use TMS therapy. Application of TMS in the modes developed for depression treatment, is supported by many authors. The work of A.B. Conforto, et al. presents the results of randomized, double-blind, single-center clinically demonstrative study with participation of patients with chronic migraine without depression syndrome. rTMS (23 sessions) was applied on the left dorsolateral prefrontal region. It was shown that the number of «pain» days in placebo group was reduced to a higher extent than with application of TMS. With this, the intensity of pain diminished equally in both groups. The obtained data do not evidence reasonability of application of this TMS mode in treatment for pain syndrome in migraine without depression. However, investigations in this direction are under way [26,34]. Tension headaches have much in common and many differences in their neurobiological mechanisms. Nowadays there are no unified conclusions about probability of using TMS in treatment of patients with TH. In reports of European Headache Federation it is noted that the effectiveness of exposure to rTMS has not yet been confirmed by a sufficient number of evidence-based studies. The available literature contains only some mentions of works in this direction. In particular, according to P. Martelletti, et al. , TMS is an effective nondrug method of treatment for chronic TH. This conclusion is based on evaluation of the effects of use of TMS with different frequency of impulses in chronic TH. 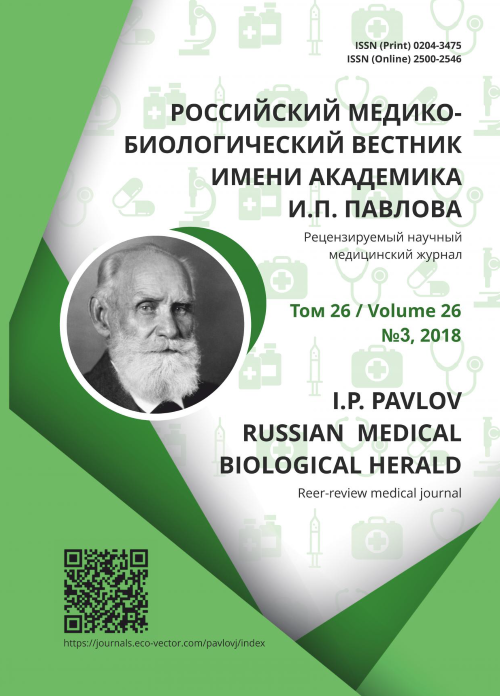 Upon completion of treatment dynamics of clinical and electrophysiological parameters, intensity of pain, evidence of depressive symptoms, sensitivity of pericranial musculature and other parameters were determined in patients. On the basis of the obtained data the authors suggested that therapeutic effect of TMS is mediated by reduction in the excitability of large cortical motor neurons and interneurons related with them. Of certain significance is also reduction in the excitability of pericranial muscles, excessive input from which creates painful sensations in TH. The work of E.V. Shirshova and E.S. Akarachkova  contains a detailed description of the results of a clinical study with participation of 30 patients with chronic TH. TMS was conducted with a transcranial magnetic stimulator TAMAS having 8-shaped inductor (CRTehnology, Korea); the treatment course included 5 daily sessions of stimulation. After completion of therapy pain was completely eliminated in 20 patients (66%), was significantly reduced in 8 patients (27) and practically did not change in 2 patients (7%). Thus, the authors came to the conclusion about a notable effectiveness of TMS method in treatment of patients with chronic TH. Analgesic effect of TMS in chronic TH may be attributed to its activating influence on the antinociceptive system of the brain accompanied by enhanced release of β-endorphin, serotonin and noradrenaline . Thus, induced magnetic field generated by TMS depolarizes membrane of neuron; action potential, generated in nerve cell, propagates along the axon and activates surrounding neurons of different modalities across synapses . TMS influences electrophysiological parameters of neurons and, besides, facilitates sprouting and neurogenesis . TMS produces a modulating effect on regulation of functions of the autonomic nervous system, on reactivity of cerebral vessels and on activity of the immune system . TMS is proved to induce excitation in nociceptive trigeminothalamic neurons . These processes are observed in application of TMS on the cortical areas of the brain, therefore this procedure is a potentially effective method of treatment for migraine. At present research is under way directed at further search of regimes, durations and fields of application of TMS with the aim of improvement of its therapeutic effect. For example, single-pulse TMS is considered a method with proven high effectiveness for migraine with visual aura. This approach not only permits to eliminate an attack but can be used for prevention of migraine. On the basis of the results of a significant number of research work a portable device for TMS was developed and approved for individual use in EU countries. Therapeutic effects of this device are, in particular, associated with block of propagating cortical depression . Results of large-scale international research illustrate high effectiveness of rhythmic TMS (rTMS) in depressions , post-stroke pain syndrome, neuralgia of trigeminal nerve and in some other disorders of the central nervous system . Taking into account comorbidity of migraine and depression, rTMS is nowadays intensely used in treatment for migraine. On the basis of the facts obtained by European Expert Group, high-frequency stimulation of dorsolateral prefrontal cortex on the left is assigned the maximal level of effectiveness – «A», and low-frequency stimulation of this region on the right – level «B» . On the whole, existing scientific data show that transcranial magnetic stimulation is a non-invasive, safe, painless and effective method of treatment for pharmacologically resistant forms of tension headaches and migraine. The character of action of transcranial magnetic stimulation – inhibitory or stimulating – largely depends on selection of a therapeutic mode. However, optimal application of this method in clinical practice requires further investigations directed at clarification of the mechanisms of influence of the described procedure on the brain. For example, it is unclear, if physiological parameters of functional activity of the central nervous system change under excessive depolarization or activation of different groups of cells by transcranial magnetic stimulation. A special attention is given to the problem of comparative effectiveness of the basic regimes of therapeutic transcranial magnetic stimulation – high- and low-frequency stimulation. These and other questions concerning use of transcranial magnetic stimulation can be solved in experiments on animals and also by combining these methods with functional neurovisualization methods. Active participation of physiologists, neurophysiologists and biophysicists in these research works will permit determination of effectiveness of nondrug treatment with transcranial magnetic stimulation and will contribute to understanding of mechanisms of action of magnetic fields in patients with pain syndrome. Eldaief M, Pascual-Leone A. Transcranial magnetic stimulation in neurology. Clinical practice. 2013; 12:519-25. Deblieck C, Thompson B, Iacoboni M, et al. Correlation between motor and phosphene thresholds: a transcranial magnetic stimulation study. Hum Brain Mapp. 2008;6:662-70. Sorochinskiy AA. Transkranial'naya magnitnaya stimulyatsiya. Izvestiya Yuzhnogo Federal'nogo Universiteta. 2010;110(9):207-10. (In Russ). Sorokina ND, Selitskiy GV, Smirnov VM. Izmenenie bioelektricheskoy aktivnosti mozga pod vliyaniem oposredo-vannogo kratkovremennogo peremennogo magnitnogo polya u zdorovykh i bol'nykh epilepsiey. Rossiyskiy Med-itsinskiy Zhur-nal. 2012;6:11-4. (In Russ). Voytenkov VB, Mally J, Skripchenko NV, et al. Transkranial'naya magnitnaya stimulyatsiya kak diagnosticheskaya i terapevticheskaya metodika. Nevrologicheskiy Zhurnal. 2015;20(5):4-13. (In Russ). Chervyakov AV, Piradov MA, Savitskaya NG, et al. Novyy shag k personifitsirovannoy meditsine. Navigatsionnaya sistema transkranial'noy magnit-noy stimulyatsii (NBS eXimia Nexstim). Annaly Nevrologii. 2012;6(3):37-46. (In Russ). Chervyakov AV, Piradov MA, Nazarova MA, et al. Kartirovanie motornogo predstavitel'stva m. abductor pollicis brevis u zdorovykh dobrovol'tsev s primeneniem navigatsionnoy transkranial'noy magnitnoy stimulyatsii NBS eX-imia NEXSTIM. Annaly Klinicheskoyi Eksperimental'noy Nevrolo-gii. 2012; 6(3):14-6. (In Russ). Rossi S, Hallett M, Rossini P, et al. Safety of TMS Consensus Group. Clinical safety, ethical considerations, and ap-plication guidelines for the use of transcranial magnetic stimulation in clinical practice and research. Clin Neurophysiol. 2009;120 (12): 2008-39. doi: 10.1016/j.clinph.2009.08.016. Bingi VN, Savin AV. Fizicheskie problem deyst-viya slabykh magnitnykh poley na biologicheskie sistemy. Uspekhi Fizicheskikh Nauk. 2003;173(3): 265-300. (In Russ). Sorokina ND, Selitskii GV, Karpov VA. Indirect short-term influences of alternating magnetic fields on the brain in epilepsy. Neuroscience and behavioral physiology. 2000;30(1):5-8. Huerat P, Volpe T. Synaptic plasticity and oscillations. J Neuro Engin Rehab. 2009;6:7-11. Keck ME, Welt T., Müller MB, et al. Repetitive transcranial magnetic stimulation increases the release of dopamine in the mesolimbic and mesostriatal system. Neuropharmacology. 2002;43 (1):101-9. Pradhan S, Kirton A., MacQueen G, et al. The effect of repetitive transcranial magnetic stimulation on dorsolateral prefrontal glutamate in youth with treatment-resistant depression. BMC Proceedings. 2015;9(1):A9. doi: 10.1186/1753-6561-9-S1-A9. Evers S, Hengst K, Pecuch PW. The impact of repetitive transcranial magnetic stimulation on pituitary hormone lev-els and cortisol in healthy subjects. J Affect Disord. 2001;66:83-8. Valero-Cabre A, Payne BR, Rushmore J., et al. Impact of repetitive transcranial magnetic stimu-lation of the parietal cortex on metabolic brain activity: a 14C-2DG tracing study in the cat. Exp Brain Res. 2005;163:1-12. Andreou AP, Sprenger T., Goadsby PJ. Cortical modulation of thalamic function during cortical spreading depres-sion- unraveling a new central mechanism involved in migraine aura. J Headache Pain. 2013;14(1):I6. doi: 10.1186/1129-2377-14-S1-I6. Chervyakov AV, Poydasheva AG, Korzhova YuE, et al. Sovremennye terapevticheskie vozmozhnosti ritmicheskoy transkranial'noy magnitnoy stimulyatsii v lechenii zabolevaniy nervnoy sistemy. Russkiy Meditsinskiy Zhurnal. 2014;22:1567-72. (In Russ). Chervyakov AV, Poydasheva AG, Korzhova YuE, et al. Ritmicheskaya transkranial'naya magnitnaya sti-mulyatsiya v nevrologii i psikhiatrii. Zhurnal Nevro-logii i Psikhiatrii imeni SS Korsakova. 2015; 12:7-18. (In Russ). doi: 10.17116/jnevro20151151127-18. Misra UK, Kalita J, Tripathi GM, et al. Role of β endorphin in pain relief following high rate repetitive transcranial magnetic stimulation in migraine. Brain Stimul. 2017;10(3):618-23. doi: 10.1016/j.brs.2017.02.006. Lipton RB, Dodick DW, Silberstein SD, et al. Single-pulse transcranial magnetic stimulation for acute treatment of migraine with aura: a randomised, double-blind, parallel-group, sham-controlled trial. Lancet Neurolology. 2010;9(4): 373-80. doi: 10.1016/S1474-4422(10)70054-5. Bhola R, Kinsella E, Giffin N, et al. Single-pulse transcranial magnetic stimulation (sTMS) for the acute treatment of migraine: evaluation of outcome data for the UK post market pilot program. The Journal of Headache and Pain.2015;16:51. doi: 10.1186/s10194-015-0535-3. Brüggenjürgen B, Bake T, Bhogal R, et al. Cost impact of a noninvasive, portable device for patient self administra-tion of chronic migraine in a UK National Health Service setting. Springer Plus. 2016;5:1249-56. doi: 10.1186/s40064-016-2924-8. Lan LH, Zhang XN, Li XP, et al. The efficacy of transcranial magnetic stimulation on migraine: a meta-analysis of randomized controlled trails. Journal of Head acheand Pain. 2017;18:86. doi: 10.1186/s10194-017-0792-4. Naeije G, Y, Ligot N, et al. Occipital transcranial magnetic stimulation discriminates transient neurological symptoms of vascular origin from migraine aura without headache. Europhysiologie Clinique-Clinical Neurophysiology. 2017;47(4): 269-74. doi: 10.1016/j.neucli.2017.05.093. Kalita J, Bhoi SK, Misra UK. Effect of high rate rTMS on somatosensory evoked potential in migraine. Cephalalgia. 2016;37(13):1222-30. doi: 10.1177/0333102416675619. Rapinesi C, Del Casale A, Scatena P, et al. Add-on deep Transcranial Magnetic Stimulation (dTMS) for the treatment of chronic migraine: A preli-minary study. Neuroscience Letters. 2016;623(3): 7-12. doi: 10.1016/j.neulet.2016.04.058. Misra UK, Kalita J, Bhoi SK. High frequency repetitive transcranial magnetic stimulation (rTMS) is effective in mi-graine prophylaxis: an open labeled study. Neurological Research. 2012;34(6): 547-55. doi: 10.1179/1743132812Y.0000000045. Belyaev AA, Isaykova EI, Son AS. Lechenie migreni metodom transkranial'noy magnitnoy stimulyatsii. Mezhdu-narodnyy Nevrologicheskiy Zhurnal. 2015;73(3):85-9. (In Russ). Puledda F, Goadsby PJ. The Role of noninvasive neuromodulation in migraine management. European Neurological Review. 2016;11(2):106-108. doi: 10.17925/ENR.2016.11.02.106. Azimova YuE, Rachin AP, Ishchenko KA, et al. Innovatsionnye metody lecheniya migreni. Russkiy Meditsinskiy Zhurnal. 2015;23(3):27-30. (In Russ). Martelletti P, Jensen RH, Antal A, et al. Neuromodulation of chronic headaches: position statement from the Euro-pean Headache Federation. J Headache Pain. 2013;14(1):86-92. Iskra DA, Frunza DN. Povtornaya transkranial'-naya magnitnaya stimulyatsiya v lechenii khroni-cheskikh golov-nykh boley napryazheniya. Vestnik Rossiyskoy Voenno-Meditsinskoy Akademii. 2012; 39(9):34-8. (In Russ). Shirshova EV, Akarachkova ES. Primenenie mag-nitnoy transkranial'noy stimulyatsii pri khroniche-skoy golovnoy boli napryazheniya. Zhurnal Nevrologii i Psikhiatrii imeni SS Korsakova. 2012;7(1):62-4. (In Russ). Paillere ML, Galinowski A, Rinquenet D et al. Influence of prefrontal target region on the efficacy of repetitive tran-scranial magnetic stimulation in patients with medication-resistant depression: a [(18)F]-fluorodeoxyglucose PET and MRI study. International journal of Neuropsycopharmacology. 2010;13(1):45-59. doi: 10.1017/S146114570900008X. Copyright (c) 2018 Sorokina N.D., Pertsov S.S., Selitsky G.V.